1995 is a pretty important year in prepress and printing, because of two separate events. First of all this is the year of the TrendSetter, Creo’s first thermal CtP system which – as its name implies – does become a trendsetter. It is the most successful of all the 42 CtP systems that are shown at the drupa trade show that year. Many of those prototypes don’t even make it to the market. The model below is the TrendSetter 800 Magnum of a few year laters. It does resemble the original machine. The other major trend is the appearance of a number of web services that will have a big impact on the industry. Vistaprint is founded in Paris, France by Robert Keane who believes in the potential of offering short run high volume printing to small businesses. 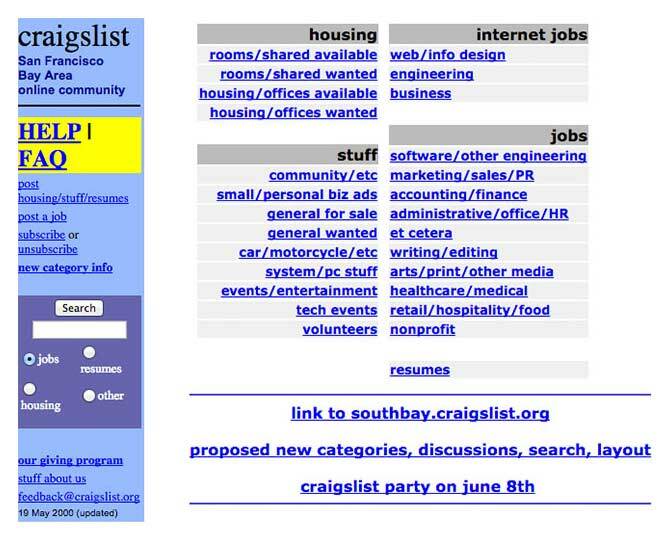 The very first post appears on Craigslist. Within a few years, this web service has an enormous impact on US newspapers because they lose a major part of their classified ads income to the site. Another startup, called Amazon, focuses on selling books online. 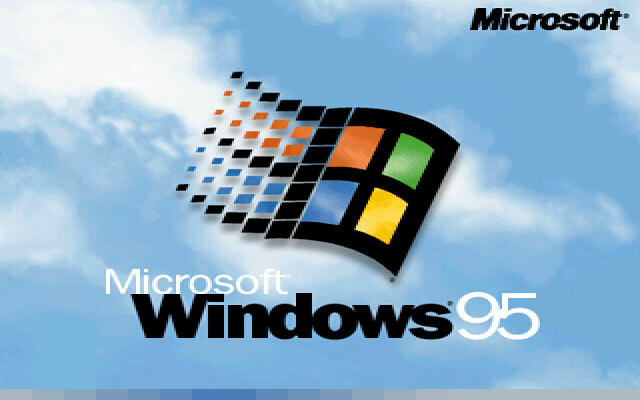 Microsoft introduces Windows 95 and sells 1 million copies within 4 days. I am one of those who buy the software the very first day. Much to my surprise, it installs without a problem. It is the first Microsoft operating system that I have fond memories of. 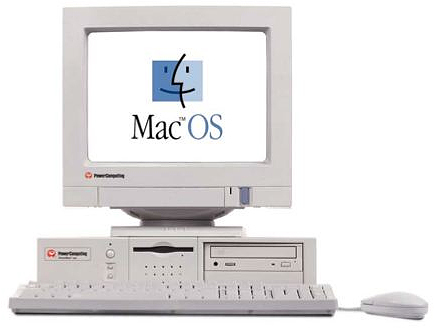 Apple allows selected other vendors such as Power Computing (shown below), Motorola and UMAX to market Macintosh clones. After his return to Apple, Steve Jobs cancels this policy in 1998. 1995 is the year of new connectivity standards: Apple launches Firewire (IEE 1394 – the connector shown below) and a group of industry vendors releases the specs for the Universal Serial Bus (USB). The speed of Ethernet goes up from 10 Mb/s to 100 Mb/s with the release of the Fast Ethernet specifications. 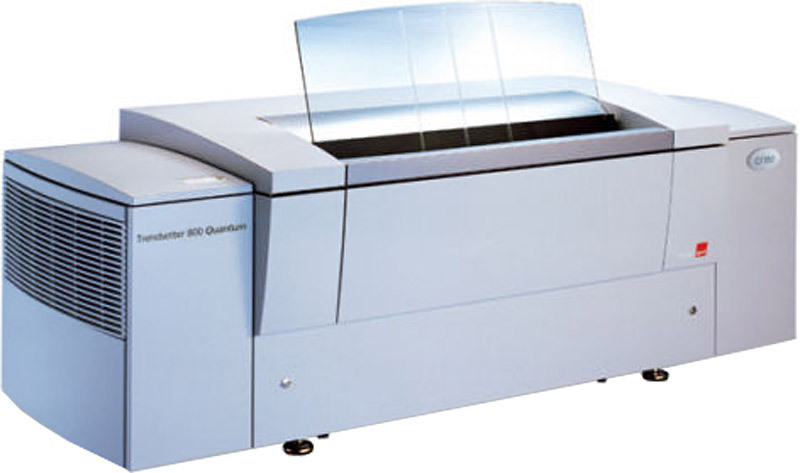 The Tektronix Phaser 480 is a typical example of the dye-sublimation proof printers that several companies sell. Tektronix is later acquired by Xerox. 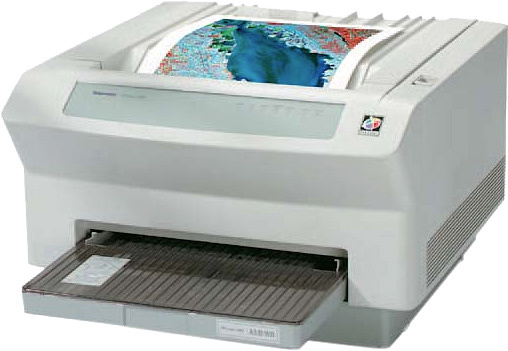 The Océ 9700 and 9800 large format printers use pressure instead of heat to fix toners to the paper. Paper prices go through the roof in what some people labeled the ‘Great Paper Shortage of 1995‘. In the USA the number of printing companies grows to 62,000 – the highest number that will ever be reached. FF Dax from Hans Reichel is a ‘spurless’ sans-serif in which strokes end without terminals. This gives it a modernist abstract look. FF Daxline and FF Daxline Office Pro, released in 2005, are updated versions. Fighting escalates in Bosnia and Croatia. Eight people die in a nerve gas attack in the Tokyo subway. Timothy McVeigh uses a car bomb to blow up an Oklahoma City federal building. A UK team creates the world’s first cloned sheep. The dot-com boom starts. Netscape, which produces the first commercial graphical browser and web server, goes public in the largest public offering until then.